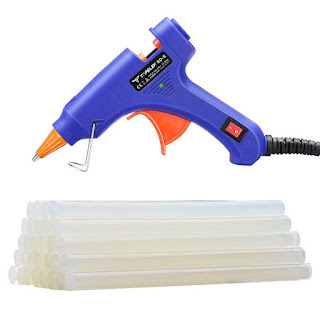 Right now you can get this TopElek Mini Glue Gun Kit with 30pcs Glue Sticks for ONLY $6.69! 【HEAT UP FAST AND CONSTANT TEMPERATURE】MINI hot glue gun set heats up in 1.5-3 minutes and keep constant temperature making it a perfect tool for school DIY, small arts &amp; craft making. It can be used as an repairing tool for small cracks of furniture, household appliances, toys, shoes, glass fish tank, circuit board, etc. 【Package included】 TopElek MINI Glue Gun, 30 pcs glue sticks, User manual. Our MINI Glue Gun include a 45 days money back and 18-month warranty.